Home → Dan Simpson passes with just 1 driving fault. Dan Simpson passes with just 1 driving fault. Congratulations goes to Dan Simpson on passing his driving test. 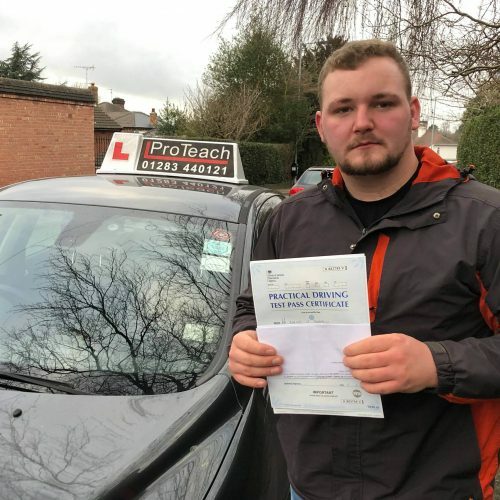 Dan passed in Burton, 14th January with just 1 driving fault! He can now look forward to getting his VW Polo on the roads. Well done from John and all the team at ProTeach Driving School.